A-HOTEL.com - Luxury and cheap accommodation in Kozlovo, Russia. 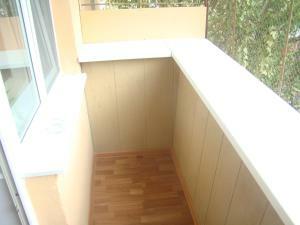 Prices and hotel, apartment booking in Kozlovo and surrounding. Set in Tsvetnoye, Country house Dom Rybaka provides accommodation with free WiFi. All units feature air conditioning and a flat-screen TV. Апартаменты Куликова 81к2 is set in Astrakhan. Free WiFi is available. Featuring free WiFi and a billiards room, this hotel in Astrakhan offers air-conditioned rooms with a satellite flat-screen TV and a work desk. There is also a 24-hour reception. Hostel Prestige features accommodation in Astrakhan. Both private parking and free WiFi are available on site. Апартаменты Балашовская 13/2 is situated in Astrakhan. This property offers access to free WiFi. Nova Hotel features accommodation in Astrakhan. All rooms feature a flat-screen TV with cable channels and a private bathroom. Orion is a hotel located in Astrakhan, within 4 km from the Astrakhan Kremlin, and features rooms with free WiFi access, a 24 hour front desk and a free airport shuttle transfers. Each room at the Orion comes with city views, a flat-screen TV, a refrigerator, and a private bathroom with a bath or a shower and free toiletries. Located in Astrakhan, Orion Hotel offers rooms with free WiFi, air conditioning and heating. Each bright room at Orion Hotel includes a dining area, a wardrobe and a fridge. Located in Astrakhan in the Astrakhan region, ТРЁХКОМНАТНЫЙ has a balcony and city views. Guests staying at this apartment have access to free WiFi and a fully equipped kitchen. Boasting air-conditioned accommodation with a balcony, Apartment B.Alekseeva 20k4 is located in Astrakhan. Set in Astrakhan, ЧЕТЫРЁХМЕСТНЫЙ features air-conditioned accommodation with a balcony and free WiFi. Guests staying at this apartment have access to a fully equipped kitchen. Surprise Yablochkova is located in Astrakhan. The accommodation provides a 24-hour front desk as well as free WiFi. Offering a hot tub and sauna, Hotel Evropa is set in Astrakhan. Guests can enjoy the on-site bar. Featuring air-conditioned accommodation with a balcony, Апартаменты на Ботвина 4 is set in Astrakhan. Guests staying at this apartment have access to free WiFi. ПЯТИМЕСТНЫЙ is set in Astrakhan. Guests can enjoy the free WiFi. Featuring a spa bath, У ВОДНОГО ЦЕНТРА "ЗВЁЗДНЫЙ" is located in Astrakhan. Guests staying at this apartment have access to a fully equipped kitchen. Situated in Astrakhan, Hostel Laim provides a shared lounge and free WiFi. All rooms feature a kitchen and a shared bathroom.